Greetings my lovelies! It has been a while since we’ve had a new interview here on The Writing Piazza but we are so excited to be back with this next interview with the talented author Maria Ashworth. Maria, thank you so much for being with us today! If you could start by telling my readers a little bit about yourself. I’m an active volunteer in the community. 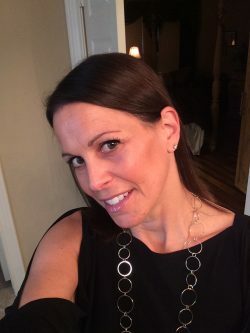 President of the Friends of the Maud Marks Library in Katy, Texas, along with acting as Public Relations Director with the Houston Writers Guild in Houston. I’ve been a member of Society of Children’s Book Writers and Illustrators and the Houston Writers Guild. Some of my manuscripts have been nominated as finalists in several contests. I’ve published a handful of short stories in contests, literary magazines and an anthology. When I’m not writing you can find me pumping iron at the gym, planting in the garden, or digging into a pint of ice cream. Wow! You’ve got a lot going on! I always love getting these behind the scenes glimpses of the lives of other writers. Thanks for sharing that with us. A young girl’s world is turned upside-down when her mother tells her she’s getting remarried. Along with the ring comes a few more, Step One, Step Two, Step Three and Four. The girl will do whatever it takes to keep the “steps” out of her life. She eventually realizes there are some benefits to her new blended family. This picture book was nominated as a finalist in the picture book category for the 2012 National Association of Elementary School Principals contest. This is a timely topic, I love books like this that help kids deal with real life situations. How did you come up with the idea for this book? I divorced after 18 years of marriage. It was devastating for the kids and me but we managed through it. My two kids didn’t mind me dating, and I didn’t think blending children would be an issue. I met a man who had five kids. When my daughter saw the seriousness of the relationship things changed. She didn’t want step-siblings touching her things, sharing her bathroom much less her mom. We married despite her reservations. I viewed libraries and bookstores looking for books on blending families. They had books on having a new mommy or daddy, or living in two houses. But none touched the subject of blending children. I didn’t plan on writing a book but tried my hand at making her a little story about her transition. I showed it to my husband and he thought I had something. My daughter beamed, there now was a story about her transition. We blended our children before the story got put into a book. She adjusted early on and learned there were some good things about having these step kids. She realized she could boss them around, dress them up and when in a bind, blame stuff on them. I wrote it lyrically to make it more appealing. I tried it in prose and it didn’t feel right to me. The book emphasizes sharing, caring and acceptance. I wrote the book to make children understand that it’s not all bad. That there will be an adjustment period but your parent will always be your parent. And they will always love you. No one will take that away from them. I wanted them to see that things can change for the better. That some good can come from it. The unknown can be pretty scary especially in children. The book can help with the transition. 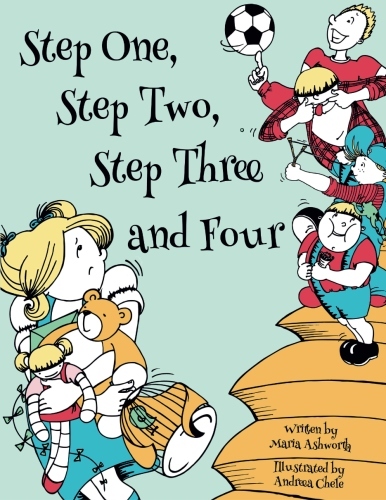 I believe Step One, Step Two, Step Three and Four has a place on a shelf in every household whether blended or not. That’s such a great story about your story! 🙂 I think you’re right about this book being something that belongs in every household. Even if your family may not be blended, it’s most likely you know a family that is blended which means it’s good for your children to learn about them. Empathy and compassion is something we can all learn from the books we read. I love when authors take this responsibility seriously and build those lessons into their books. If we could switch gears a little for this next part (I know, I’m on a train kick today for some reason). Can you tell us about your publishing journey? I had always had a love for writing since I was young. I didn’t take it seriously until I journaled my divorce. I thought that women would really benefit from my story. There is an empowerment to my journey. Right after, Step One, Step Two, Step Three and Four was born. I told myself then that I was going to get serious about my writing career. And my husband was behind it. I became a member of SCBWI in 2009. My first conference was in Houston/Katy, Texas. It put the fire in my belly. 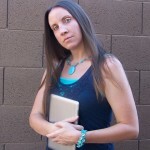 A week later I formed a weekly critique group with other writers. We’re 7 years strong with a lot of success stories under our belt. I acquired an agent two years ago. She worked on getting TOMMY JAMES and MY BIG TREE into a house. TOMMY JAMES went to the editor’s round table. So close but no contract. I have over forty-eight manuscripts sitting in my computer. If I wait two to three years for an agent to get me into a house or an editor to notice my work I might be in the grave by then. With that thought in mind, that’s when I decided to take Step One, Step Two, Step Three and Four on its own journey. I researched illustrators and got my hands on one that had what I was looking for. It wasn’t easy. And I made a lot of mistakes. I know what to ask for and what not to do next time around. Will I do it again? I would. But if someone came to me with a contract, be it agent or house with a contract I would consider. But for now I’m a free agent and consider myself independently published. My words are out there for children and adults to read and I couldn’t be happier. It’s an eye opening experience to try to get a book published, whether you go the traditional route or the self-published route. There’s a lot to learn in the business of writing/publishing. What’s something that has surprised you about this industry? How difficult it is to get in the club. That’s what it feels like to me. You want to get in the popular group and want to do whatever it takes to be among the big dogs. The other thing is the money. When people say writers can’t quit their day job, it’s very true. We’re really poor. I laugh to keep from crying! It’s definitely not a glamorous job for 99% of us. What would you say, has been the hardest part about your journey as an author? Feeling confident enough that my writing is worth it. Hoping readers will love it. I think that’s true of all the great writers. I think if you don’t have at least a couple panic attacks over the quality of your own writing, then you aren’t thinking about it enough. Haha. But enough about all the darker sides of writing, how about a fun/heart-warming/inspirational story you don’t mind sharing about your experience as an author? I had a wonderful chance meeting with an agent in Georgia. You can check out my post on my blog, JUST A NOTE on WordPress. Fantastic! I also like to take a little time during these interviews and seek some advice that my guests might like to offer. What is one thing you know now, that you wish you’d known before you wrote your very first book? That I could be a millionaire in the amount of time I put into this in a real paying job. Again, I laugh to keep from crying. But that is actually really great insider’s advice. A lot of people see writers like J.K. Rowling and Stephen King and think that it’s just super easy to start writing and make millions of dollars. But the truth is most writers don’t make more than they spend. If you don’t view writing as something you want to do even if only a few people read your work, then you are likely to find yourself heartbroken and frustrated. But if you write and can be happy with a small audience, then you will find it a worthwhile pursuit (and you may even be one of the few lucky ones who make it big in this business). Do you have any last advice for authors hoping to publish their own work? Don’t wait for it to happen. Make it happen. That’s so awesome! What about any upcoming events? 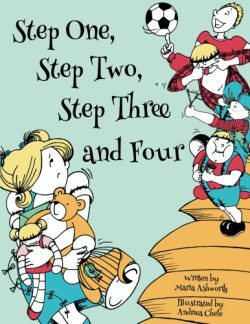 Step One, Step Two, Step Three and Four will be recreated for stage for children’s theater with the Katy Visual & Performing Arts in 2017. Big news! I recently signed a book deal with Clear Fork Publishing. They will launch their new imprint Spork along with my concept picture book, My Big Tree in August. Follow me on my website or Amazon to see upcoming books for the 2016-2017 calendar year. That’s great news! I love hearing about all you’ve got going on! Thank you so much for your time and for being a guest on my blog! And all you fabulous TWPeeps can follow Maria on Twitter: @maria_ashworth and Facebook to keep up with her latest books. She’s got a killer book trailer you can see HERE. And then you’ll want to purchase her wonderful book which you can do HERE. Thank you everyone for stopping by, there are a bunch of great interviews here on TWP we hope you’ll take a peek around at all the great stuff we have here. A lot of work goes into this blog so we hope you enjoy it! If there’s anything else you’d like to see here on TWP please let us know, we are always on the lookout for future topics and interview ideas.